Over the last few weeks, we’ve had the chance to talk to a good number of people about adding video to your marketing strategy via our series on BLAB.im called “OMG Video Marketing Strategy, Huzzah!” or #OMGVMS. This week and last, we took a break to line up some new smart guests for the future. In the interim, we’ve found and researched some simple tools for an essential video task: editing. The whole purpose for this series was to address the common thought that adding video to your marketing strategy is too hard. We kicked it off by discussing the value of simple testimonial videos, got the chance to talk to a YouTube expert about the platform, discussed the realistic role of production value, and how to use mobile devices in the video creation process. This week, we decided to extend that last bit and find some additional tools for integrating mobile devices into your content process as video editors, but also to find some desktop and browser based video editing tools as well. As we researched the space, we discovered that this is a topic well worth exploring due to an explosive increase of options that blow apart what you might initially assume are your only options for video editing tools. This, if anything, is additional evidence of the rise in prominence of video content of all types as a major media disruptor that all organizations interested in content need to keep in mind. When it comes to video editing, you could contract a professional, or even keep one on staff. However, not everyone who is starting out making videos to market their business online wants to rush right out and spend on either of those two options. What remains? Luckily, the rise of the popularity of video to be consumed has triggered an equally large surge in simple, effective tools to create. If you have any familiarity with video editing at all, it is safe to assume you know about the big 3. These, of course, are the professional industry standard tools: Apple’s Final Cut, Avid, and Adobe’s Premiere Pro. But what if you’re not into “all that” and really just want to get started with something simple and perhaps more cost effective? We’ve gathered some great options that should satisfy the needs of a range of folks, from those just starting off adding video to their content marketing strategies to those who have been at it for a while and just need some tools to make life simpler. Over the next few posts, we’ll talk about a wide variety of options and provide some insight about each that should ease your efforts at getting started with some simple video content. First, there are a couple of categories we’ve created to keep the styles of editing tools in line. This week, we’ll be talking about Desktop Tools. Next week, it will be Browser-Based Tools, then Mobile Device Tools (apps). Traditionally, any software for nonlinear digital editing needed to take place on beefy machines as native software, using massive amounts of computing resources. This is still largely the case if you are editing video that is high resolution (like the increasingly popular “4K” ultra HD video file sizes) or have a need to create intricate motion computer graphics or special effects. For most organizations who are looking to integrate video into their digital strategy, content strategy, or website, starting simple means those beefy desktop systems are not as essential, especially since they are often too cost prohibitive. Most of the time, if you are just getting started doing some light video editing for your organization, your computer will likely already have software installed that will go a long way toward meeting your needs. 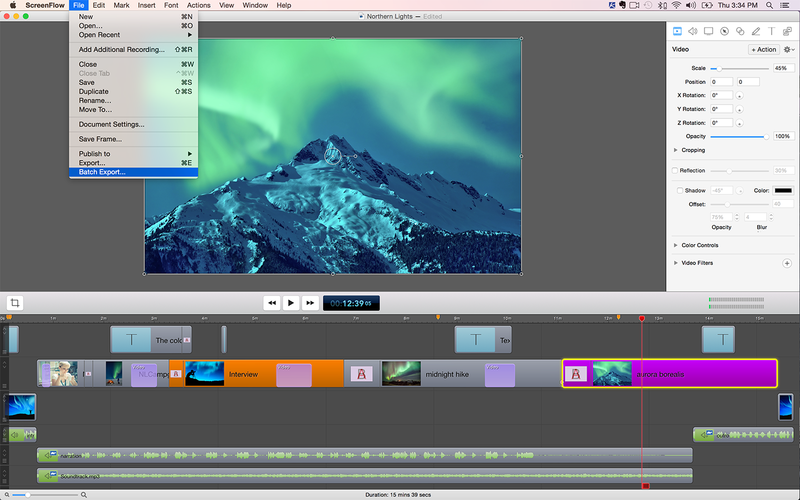 Apple’s standard iMovie package, for example, probably has the teeth to chew through what you need to edit, as do most standard Windows PCs these days, thanks to gaming trends. Even Windows Movie Maker is still around and a decent option for getting started. But these were largely designed for home use, and any business interested in using them for creating marketing videos will quickly find themselves meeting obstacles to getting the right end results. In any case, because of the rise in popularity of video content, the options for tools for video editing are a lot more in number than you might assume. That’s why we’ve decided to highlight a few over the coming weeks, starting with Desktop Tools. When it comes to desktop video editing software titles you probably don’t know, there are a few that immediately come to mind as both multifunctional and streamlined for simplicity. 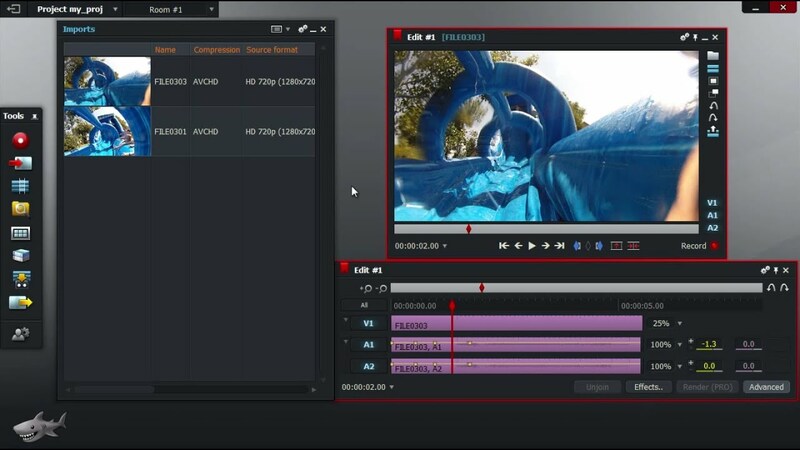 A first look at HitFilm 3 Express feels more like editing in the browser than using a full fledged native software tool. It’s free to start with and has the “in-app” purchase feel that resounds through most of our user experiences these days. This is good news for anyone looking for a lighter weight option that may be available one day on a tablet (I predict). The extra “packs” you can buy are essentially for more advanced tasks, but the basic nonlinear editing and sound sync tools are “free” in that they are available for download for the low cost of a Tweet, Facebook, or Google Plus Share. That’s not a lot to ask for some good, simple editing functionality and a great way to have a tool to get started right away. Most systems are strong enough to run it, and there are ways to ease how taxing it is on your computing resources, but you’ll want to make sure to pay special attention to the way you save your final project files to be ultimately distributed to various online channels as to ensure quality. The overlooked value of this tool makes it a real find. It is simple, yet multifunctional and very cost effective. Originally targeted toward users who are interested in recording their desktop for the purposes of web application or product demonstrations or tutorials, this tool from Telestream joins a whole line of products that make adding video to your content marketing strategy more approachable. We like it for adding quick bumpers to the beginning and end of web recorded interviews over Skype, Blab, or Google Hangouts, since it allows you to record anything happening on your desktop as a layer. A great use for this would be to demonstrate for your customers how to navigate certain portions of your website or to show some features you want to emphasize. You can also record your voice over a slideshow presentation and add music or video content if there are learning elements you want to share with your audience. It’s a great way to take all that subject matter expert knowledge and put it into a format that can be easily deployed, consumed, and shared. Using the free, open-source 3D rendering powerhouse Blender as a video editing tool isn’t exactly the portrait of “simple,” but this mainstay of game and animation designers could solve a number of problems, should you be interested in navigating the learning curve required to make use of all it has to offer. The video editing functionality is easy enough to navigate, however, and the open-source nature of the software makes it among the most cost effective options for any organization tasked with basic video editing. Lightworks, like HitFilm, is available in a “free” light version (limited by the options you have for the resolution of your final exported video in this case). 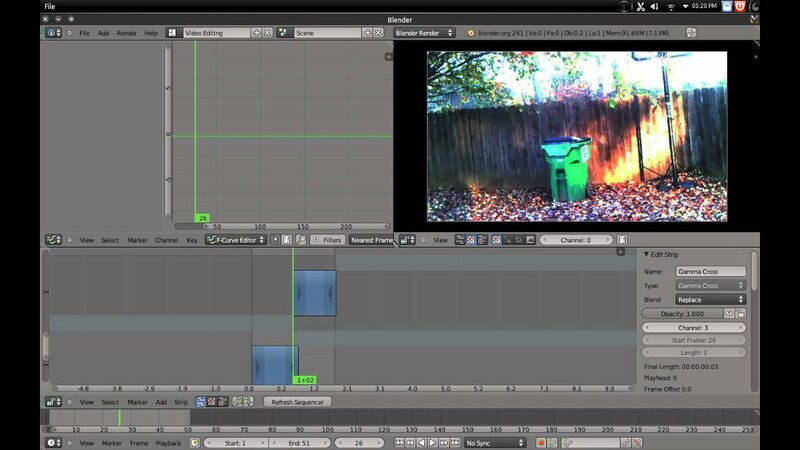 Also like HitFilm, the experience of using the tool feels much more like using a browser-based video editing tool, but operates more like traditional native software tools than HitFilm in that, like Blender, the ultimate power of the tool makes it more complicated to learn and takes away from it being a “simple” video editing tool. All in all, if simple is what you are looking for, and your needs don’t go much beyond basic nonlinear clip assembly with some light audio mixing and transitions, it might be a great time to abandon the desktop “native software tools” and dive right into some browser-based tools from the cloud. 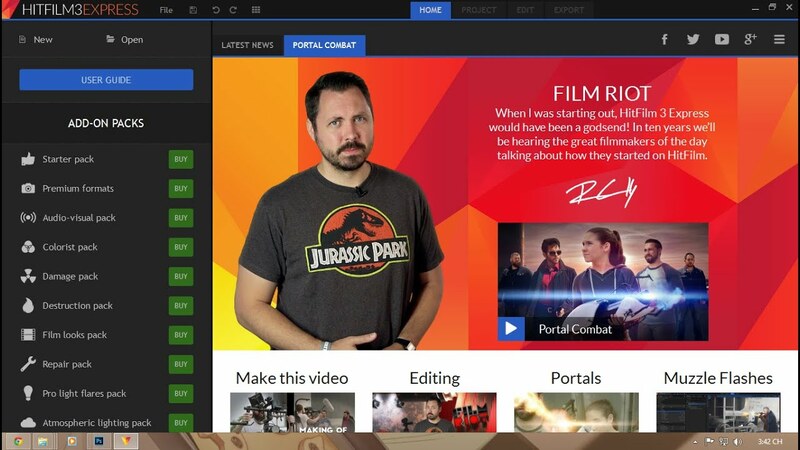 The experience will likely be more pleasant with a more modern user experience if you are new to video editing. As we've learned, however, dealing with cloud based files and internet connectivity may provide potential frustrations, an experience which we will echo as we discuss mobile app video editing in future weeks. That being said, next week we’ll take a look at some browser-based tools and see what they have to offer that might make life easier for an organization who is interested in getting some video into their content marketing strategy. Join us for the week after that as we examine the best of what mobile devices have to offer for video editing in a “there’s an app for that” sort of way (made all the more interesting by Adobe’s recent release of their new Adobe Clip app for video editing on both Android and iOS). Also, stay tuned for future episodes of #OMGVMS and let us know what issues you’d like to address! We'd love to hear from you! When working at WSOL as a Senior Marketing Strategist, Doug provided strategic assistance to our business clients, working with them to implement inbound marketing methodologies. He is passionate about digital social objects and their ecosystems, storytelling, and crafting good user experiences. He believes it is important to treat human attention sustainably, as an exhaustible resource. When he's not working, Doug likes photography, science fiction, making music, hiking, and being a dad of 2 awesome kids.